Getting the email for this last week was the first time I had heard about the game in all honesty. The only reason behind me going through with a review was the fact it looked a little like a game that I enjoyed a lot last year, that game being Oceanhorn: Monster of Uncharted Seas. 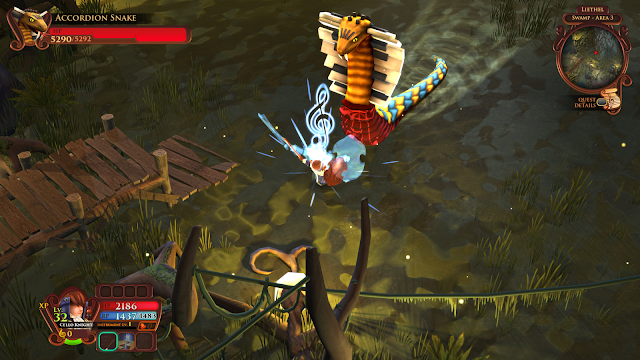 AereA is a musical themed, action RPG in which your main goal is to collect 9 musical instruments to help bring worlds back together as they have split into a number of pieces. The game allows you to take control of one of four characters, all of which differ in some way. You have the melee guy who I tended to use for my time with the game, but you also have three range classes too, but when using these the fact that no sort of targeting system was available at close or long range (the game tends to pick an enemy by default at long range to aim for), it made not as fun to use them. There is also no way to flip between all four characters while playing the game, but you can choose which one you want at the start of each game, just be mindful that each character starts out at level zero and not the rank you last reached with your previous character on your last go.The one way you can have all four characters on the go is by having friends jump in via the local 4-way co-op. No online play here sadly, so that's a shame. The game started out a fun little game in which you explore worlds and complete main quests to get to bosses and collect these instruments to help bring peace back to the world, as well as some interesting looking side quests thrown in for good measure. The blunt truth here is sadly that after a while both of these become nothing more than doing what feels like the same thing over and over again. Even the bosses that you face throughout the game offer zero challenge, with me having to do nothing more than slash at them and throw a few power-ups their way before they crash and burn into dust after just a few seconds. The faults don't end there either, with the game being lacklustre in other key areas too. The game itself being text heavy needs that text to be bang on when it comes to telling the story, all be it a dull one at that. I had moments where text made no sense (see image below for one such moment) at all, which if nothing else just starts to begin to make you not care about it at all. Then we get to upgrading and potions you unlock as you play through the areas. These potions are possibly the worst explained potions I've ever come across in a game, with me finding things in boxes being added to my inventory not having any idea what they do unless looking them up back in the main hub found in the main hall within the game. And only that was possible when I found the potion type book while out exploring. Overall: I could type on and on about what is wrong with the game, but I think the key point to note here is the price point it's being sold at. I've had moments where I've had small pockets of some enjoyment with the game, but nothing to the level where I can tell people to pay £34.99/$39.99 and expect good value for money in return. 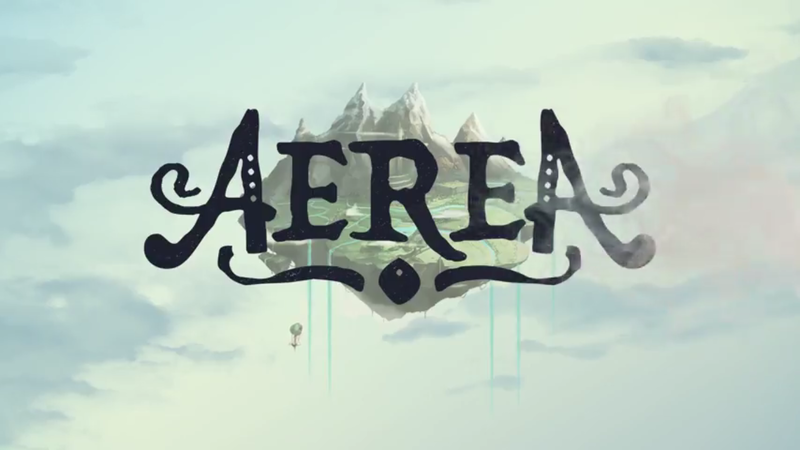 For that price, both I and just gamers, in general, would expect a polished and deep rewarding game, and AereA just isn't that. Had the game retailed for around £12.00/£15.00 then maybe I wouldn't have looked at it so harshly, but when games like this are being priced this high, it only takes one to slip through the net before we see more and more of them get through onto our digital stores. Missions don't seem to differ in any way.